PAI, the Participation Compass, the P6 Constellation, Presence in Action and the Symmathesic Agency Model (SAM) represent a synthesis of Louie’s MBA, Doctoral research and a life-time of practice immersed in working with complex personal and professional contexts. Currently Louie is the only Community Approved Practitioner Supervisor and Trainer eligible to train people in Presence in Action and to deploy the P6 Constellation with individuals, groups and in organisations. New practitioners are trained and supervised by her to safeguard their emerging practice, their clients, our community and the reputation and potential of this work to do good in the world. In future, practitioners approved at this level will be eligible to deliver EPIA and POPIA training as Associate members within the PIA Collective which is the membership-based Community Interest Company created by PIA Practitioners. Louie is undertaking doctoral research with the Centre for Systems Studies in Hull University Business School. She is an accredited Master Coach with the IIC; a Supervisor, trained with Robin Shohet and Joan Wilmot of CSTD London; a Member of the Association of Coaching Supervisors (AOCS); the Association for Coaching (AC) and the European Mentoring and Coaching Council (EMCC); a Human Systems Dynamics practitioner; a licensed practitioner for the Global Leadership Profile (GLP). Prior to establishing Potent 6 in 2005, Louie held roles as a Chief Executive, Director, Charity Trustee, Corporate Performance Manager, Senior Manager, Academic Lecturer. Our three founding practitioners are pioneers of the P6 Constellation. They experienced its benefits and in 2011, asked Louie to pass on to them what she was doing. However, this had no fixed structure and no formal process – which presented her with a dilemma. How to pass on formless, process-less, intangible knowing and not kill it? Fortunately, with Louie’s increasing immersion in the world of complexity thinking – and after several months of pondering – the P6 Constellation finally found its coherent form in 2012. Since our first training in March 2013 we have all been playing our unique parts – teaching, practising and learning alongside each other. Each of us has incorporated our learning more and more into our professional practice as well as our personal lives. We have inspiring stories to tell about how this approach is touching and transforming our relationships with ourselves, our families, friendships and communities – quite apart from the transformations we have witnessed with each other and with clients who span cultures, generations, communities and professional contexts. Sam Pringle and Karen Beveridge picked up the first torches in Edinburgh, Scotland in March 2013. Ro Lavender followed in November 2013, taking her torch home to Surrey, England. 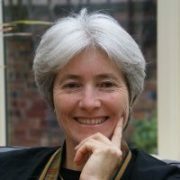 Su Riddell (as a member of Initiatives of Change) took up her torch in 2016 taking it to Oxford and London. I am amazed it’s already near three weeks since the Taster day: Experience Presence-in-Action. I want to thank you again for a great session. For me, I especially appreciated the opportunity to hold my own feet to the fire, and notice how revealing my language can be. The P6 Constellation offers 6 fab entry points, no matter where I am/we are in living and re-telling our stories, to un-pack and illuminate what’s really going on. I felt that to be very empowering personally. I also notice the extent to which everyday dialogue is riddled with fictions …. which I notice can feel quite challenging for me to accept with this heightened awareness. Meanwhile, I have been practising on myself and in reflecting to my clients around their stories in the Facts/Fictions/Feelings domains ….. while on the one hand, I am aware I am going back to some of the basics I learned in the past, it is also true that I am working with these portals with greater depth of understanding than ever before in an upward spiral of learning. I feel my coaching has received a new boost! Following the 4 day POPIA course, I reflected on what the experience of working with the P6 constellation has been for me, and the word that first came to mind was ‘healing’. It wasn’t that I believed I was particularly broken or damaged. Nor was I looking to be ‘fixed.’ Yet, I am aware of a deep change happening within me that is something akin to a homecoming to my Self, a return to elemental wholeness that I have come to understand is innate but can become increasingly elusive as we grow into adulthood and move further and further away from our natural and complete selves. The practice of ‘catching myself’ then ‘walking the mat’ with whatever shows up for closer examination – and now doing that on a regular basis – has enabled me to arrive at a quality of self understanding and peace with myself that releases me from the errant belief that I have to be anyone other than myself. With greater self compassion and acceptance I find I am able to meet life’s challenges, and especially my relationships, without needing to achieve a certain outcome, or to be ‘someone’ in order to achieve that. Even as I write this, I feel a rush of excitement and anticipation as I surrender to the truth that there is very little in life that I can control or predict. And my confidence in my capacity to respond effectively ie from a place of Presence, to whatever happens, is being strengthened daily as my consciousness continues to expand. Within the P6 Constellation, I have found a practice that is key to building and sustaining that. …. Bring on the adventure. If I were to describe this to another, I would say: This is a gentle and powerful approach to understanding the thoughts, beliefs and emotions that tend to affect our lives and our relationships. It goes further than most coach training & self development methods in that this new understanding is reached at a deeper, more embodied level … so much so that it leads to a level of awareness that is not just in the head but in your whole being. This leads to internal shifts and change that have more impact, clarity and stickability than anything I have tried before. Louie is a highly credible professional coach and trainer. Her framework (the P6 Constellation) is novel and is based on a solid foundation of knowledge & experience in this field. Her facilitation skills are first class. She is a supporting and challenging supervisor. Our supervision has invigorated my approach to my coaching. Louie’s excellent modeling of the P6 Constellation, coupled with a wealth of experience brought together in this framework is what makes the differential. It is not an off the shelf model which is used by certain trainers, nor a formula you ‘fit’ people into. The guidance given during training allows the trainee to gain confidence in using the framework. Support given where required through discussion or intervention in the form of open questions helps the trainee consider alternative ways ahead. Louie’s challenge and support certainly allows personal growth in one’s skill set. From the beginning Louie has helped me to see further and wider. As a result of Louie’s gentle but stirring approach, I have become more present, connected to my emotions and more able to deliver coaching services effectively across wider range of people. Louie brings playfulness and humour to training and development which makes learning both fun and safe. Louie is a safe pair of hands who will not let those she works with settle for second best, even when that poses her or others a challenge. Above all the way Louie works makes sense because she deals with the reality that presents itself. I have to accept that I approached Management coaching with more than a healthy degree of scepticism and thought that it was one of those things as a manager you have to go through. What I found however, was that rather than being a drag, the sessions with Louie were not only helpful to my performance as a manager but were helpful to me as an individual. What the sessions did for me was that they encouraged me, within a safe environment, to reflect upon how I approached certain issues and how I could subconsciously impact upon the message I was trying to convey – I previously had no idea of the unintended implications of my words or actions, particularly in my use of language and nature of my decision-making. The work I have undertaken with Louie has been rewarding, stimulating and extremely challenging. I would go so far as to say that my experience has been life changing. I focussed particularly on emotional intelligence skills to supplement my technical skills and experience. As an individual who was considered high performing by my organisation, the leadership coaching process paid dividends particularly in my softer interpersonal skills which are essential within management in general but particularly important when working in a corporate context. This process has provided an opportunity to challenge my assumptions and judgements and to consider issues more fully from different perspectives. I would strongly recommend louie as an Executive Coach because of the skills, experience and insight she brings to the process. Louie has helped me to develop a clear perspective and a way forward on a series of complex issues, within a period of intense professional and personal challenge. Her input was delivered in a way that I could easily relate to and as a result has been easier to sustain the positive actions that emerged. She has a calm yet incisive approach which I feel is the perfect response to the often frantic pace of life. After each session I have without exception felt energised, focuseed, confident and better enabled to deal with whatever life throws at me. Member of a Coach Supervision Group: Louie’s skill, wisdom and insight is exceptional as a supervisor and coach. I would recommend her to anyone in the business world looking to transform how they currently do things to get better results. I have learnt what works for me. I believe I have developed on so many levels because of the power and context of this supervision. I value it more now, than I could have guessed. I didn’t anticipate noticing what the context of supervision creates; not just the change that happens in the room. It is an opportunity not only to evolve myself; I also get to witness other’s evolution. I can’t put my finger on it yet, but there is a level of learning that you get from embarking on a committed course, over a period of time within a settled membership, that has another dimension. I was surprised to discover how much value I derived from 1-2-1 coaching. Louie, bringing her wealth of professional expertise and humanity, started me on a journey of self-discovery; one where I looked hard at my motivations and influencers, and how through acknowledging and knowing them, I could become more consistent and make more meaningful contributions. This was often quite challenging, but all the more rewarding for it. Quite early in the process I felt empowered to respond differently to situations at work and home, with more certainty. I now recognise quite clearly what I’m good at, and can also see areas that I want to develop. This has enabled me to focus on several areas of personal development that before these sessions I may have avoided. Professionally, I took on leadership responsibilities for an international strategy team and have just secured a significant promotion at my company. I can attribute these successes, and other changes in my life, to a shift in my own attitude as a direct outcome of my sessions with Louie. My outcomes exceeded my initial brief and have put me in a great position to take on new challenges and opportunities. It was great to be present at your fab EMCC 2017 masterclass. The little pack of cards you gave me when we met at Oxford Brookes last year now means so much more. I can visualise myself walking around to the different ‘portals’ of the P6 Constellation. I think you have designed a very special enabling process for everyone and for all the levels in the system. As I said at the time your facilitation gifts are very special. I think your vulnerability coupled with the strength of your being, creativity and thinking really shone through from the start and held the group very safely. Also, the quality of your materials is, in my experience, outstanding. You are a first-rate facilitator/trainer combining intellectual rigour with emotional intelligence. I loved the way you used what was in the room as material and the way you used yourself and your stories not merely to illustrate but to share how you aim to be. My own learning about facilitation has been largely experiential (is there any other way?) and I have had some great role models. You are now added to their number! Your combination of intellectual clarity and high level of emotional intelligence is quite rare I reckon. I initially hesitated about getting in touch with Louie as I believed that in order to progress my career, I would need a coach with specific knowledge and experience of my profession/ industry. Not so! Through the work we did, I gained a profound understanding that to reach my full potential I had to break the repeating patterns in both my professional and personal life that were holding me back. This profound realisation was ultimately tremendously empowering – because I suddenly understood that, as I was complicit in these patterns, I had the power to change them and have begun to do so in every part of my life. Louie has a unique way of working that addresses professional issues in a deep way, opening up highly personalised ways for realising one’s potential. Don’t expect it to be easy: she makes you work hard emotionally as well as intellectually, but it is well worth it. I thoroughly recommend her. Louie is an amazing facilitator. In her works she builds trusting and safe space to bring about the best in people. She digs deep into the matter of the issues and creates a level field where leaders at different levels and ranks become self-aware and are respected and honored. The results are amazing, going beyond unified teams to new levels of trust and performance. I’m continuously grateful for her support. Louie was hired by Microsoft to provide us a Manager’s Fundamentals course. This course is mandatory for all even those, like me, who have been managers of people for almost 20 years, in other companies as well. Needless to say, I was not happy to attend, but had to change my mind. Louie has an extraordinary style that commands both respect and authority, while soothing and non-threatening at the same time. She is obviously very knowledgeable with a wealth of experience that she often quotes during the sessions to add realism to the presentations. An extraordinary professional and a captivating presenter and teacher. I look forward to the next chance that I will have to be trained by her. It was a Management Fundamental training in Moscow, Russia, where I met Louie who was facilitating a training together with her colleague. It was an absolute honour to meet such a deep, confident, experienced person as Louie. Her deep understanding of people’s behaviour, psychological input, evaluation of links between different management processes and very high involvement in the process make training a really unforgettable experience. I am yet again blown away by the capability, passion and professionalism Louie offers. As a colleague I couldn’t ask for a better partner in delivery of this excellent program, Louie is there for me every time, adding powerful and impactful insights and on brief messaging. As a facilitator, wow, Louie has a reach that penetrates the surface level so often found in trainings and instead delivers messaging and drives conversations to the level they need to be, in order to facilitate and affect impactful and positive change. Louie Gardiner deeply understands the complexities of group dynamics and has the skill and capacity to bring to the surface the wealth of knowledge and experience in individuals. Her work in conferences, workshops and across networks demonstrates her ability to listen and discern a way forward for solving tough problems. Louie has significant experience in identifying the individual’s role and its impact on organisational and corporate life. Louie was my manager when I was the Corporate Performance and Development Officer within a Local Authority. I can honestly say I’d never had a manager quite like her. Her genuine interest and care in me as a member of her team was quite humbling. When I look back on our time together, I see it more as a journey we embarked on together, whilst providing a service, rather than the time when she was my ‘manager’. She quickly recognised that I had the skills to deliver my job, and placed confidence in letting me get on with the delivery. However, she also recognised that I needed to take a step back sometimes to consider what was happening around us, the stifling culture and environment in which we were working and how we could impact on changing it, rather than accepting it as a given parameter in which to work. I learned an incredible amount from Louie about myself, and herself and about others. It’s difficult to articulate quite what this was as a whole, but I know it was something profound and I know I am a stronger person for having had that. I think the main thing Louie taught me is that I was never a prisoner of the organisation’s culture, I had the freedom and choice to try to change it. Louie is quite a unique individual with incredible insight, and a way of nurturing people to look inward at themselves, to understand others, and the world around them. Those with personal barriers will find her challenging, but it’s from a good place and well worth the journey. Working with you was great and I felt very focused after our meetings. You showed compassion and created a warm comfortable space. The use of the [Potent 6] Emotions Palette cards and the P6 Constellation have allowed me to focus in a far more positive fashion. Understanding how fact and fiction can merge has enabled me to become far more self-aware of how the negative patterns I was falling into can be altered for the better. Implementing these techniques into my everyday thought process has enabled me to improve in many aspects of my busy life, manage far more productively an eclectic work schedule whilst also coming to terms with conflict and trauma from my past. I have worked with Karen over a two year period to help me through challenging periods of my life. Her techniques have proved very useful in helping me gain clarity about issues in both my career and personal life. Whilst doing my PhD in Creative Writing at Edinburgh University, Karen helped me with techniques for time management and goal setting, as well as confidence. After completing my PhD, I’ve had problems regaining my focus and deciding on which direction to take my writing and teaching career in. Using the [Potent 6] Emotions Palette cards and the P6 Constellation with Karen has helped me to feel good about my achievements to date and to focus on positive emotions. Using the fact and fiction technique has given me a tool to deal with negative self-talk when it arises, as it often can during the rejection-heavy business of publishing! Overall the techniques that Karen has given me form an essential and varied toolkit to dip into when the need arises. These techniques are so effective that just one session can make a huge difference to a long-standing problem. [The P6 Constellation is…] a very self-awakening process that forces you to analyse your environment – particularly what is ‘fact’ and ‘fiction’, being present! I’d recommend Sam as a coach as she was fabulous in her guidance and use of questioning to ensure that I remained present, as much as I could. She was very conscious to not imprint her opinions and feelings so as to not influence my self-awareness. There was a gentle touch to her guidance which was exactly what I needed for where I was personally, in my mess. I appreciate that very much now that I have had time to reflect. Overall, I liked how Sam did not try to force a set path of questioning and quite often found myself ranging from one topic to another but could see how they inter-relate. People reach out for support because they want something in their lives to NOT be how it currently is. They expect straightforward answers and simple solutions with guaranteed results. They look for those who promise to fix problems and seduce with assurances of certainty. Those of us working with the P6 Constellation know that this does not reflect the reality of our experiences of living in our complex, unpredictable, extraordinary world. The P6 Constellation is used by a growing community of people across generations from all walks of life – including change-makers and practitioners (coaches, mediators, facilitators, supervisors). We are developing Presence in Action in ourselves and others, enabling us to embrace REALITY as it is. We do not deny what is undeniable; we do not promise what is un-promisable. We recognise that transformational change cannot be predicted, managed or commanded into existence, but it can be influenced. We see perfection as a myth; its pursuit a tyranny. We embrace experiential learning as our primary modus operandi; and work towards resonance/coherence rather than be seduced by the illusion of quick-fixes and mythical best-practice. Paradoxically by simply attending to what is present and letting go of chasing objectives and quick-fixes, we find ourselves increasingly able to liberate deeper personal and systemic transformational shifts moment-to-moment and over time. Through using the P6 Constellation, we seed Presence in Action and nurture Symmathesic Agency. In so doing, we enhance our capacity to live joyfully in flow, in tune with the world as it is and not in denial of it. And if you join us… you will find us exploring more of these! In addition to the other requirements for Community Approved Practitioners of the P6 Constellation, we ask each person to embrace the following CiP behaviours as their own. As a Community-in-Practice (CiP), we use them to guide our personal and professional lives; trusting that, in so doing, we enhance our contribution to those we serve and to each other; and in how we extend our reach into and impact on the wider world. In upholding these behaviours, we in Potent 6 commit to doing right by you in relation to GDPR legislation which includes safeguarding your privacy and what we do and do not do with the personal data you share with us.